Experience the Most Exceptional Workspace in San Francisco. 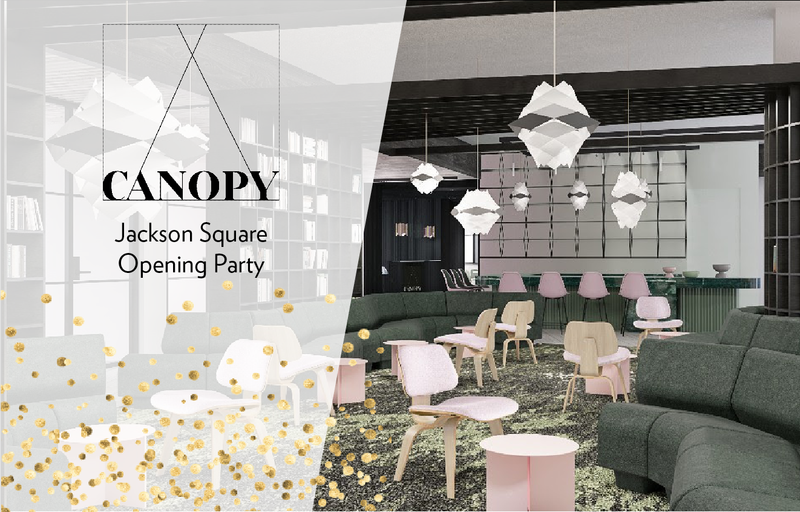 Yves Béhar, Amir Mortazavi and Steve Mohebi are delighted to invite you and a guest to celebrate the grand opening of CANOPY’s newest location in Jackson Square. Wine will be served by CANOPY member's Palate Club, bites from our neighbors Jane, Taverna Aventine, and Tony’s Pizza Napoletana, and beats by DJ Alex Pasternak.